For the past four summers, Southwestern Adventist University (SWAU) in Keene, Texas, has offered a “summer bridge program,” an intensive three-week session designed to help at-risk students prepare for college. The program has four primary classroom instructors: one each for reading, writing, math, and study skills. These instructors are regular SWAU faculty members who have a separate summer contract for working with the program. Amy Rosenthal, vice president for academic administration, noted that “Faculty are chosen based on the discipline and their in­terest in remediation. One of the strengths of the program has been the consistent participation of the original group of faculty and staff, which has allowed us to reflect on and adjust program components in an effective way.”5 Others involved in the program include a coordinator for reading and writing, student tutors/mentors for both the English and the math components, support staff from the Center for Academic Success and Advising (CASA) and other volunteers who assist in worships and field trips, comprising a total of approximately 13 people working in the program. This number has remained stable for the three years of the program, with consistent participation by the same classroom instructors and support staff. Modeled after the wholistic approach that has proved successful in other summer bridge programs, the SWAU summer bridge program is designed to engage participants in all aspects of a successful college experience.6 The students, even those living close to campus, are required to live in the dorms and become a part of the campus life. 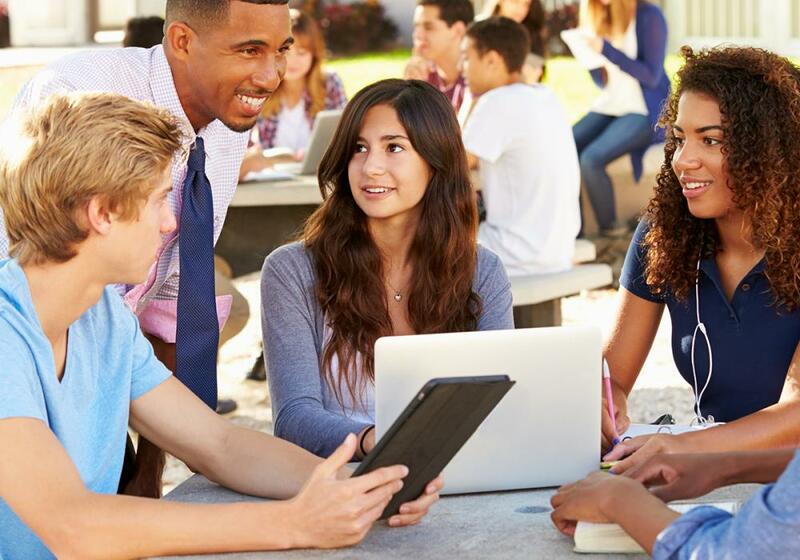 In addition to courses that help them build academic skills in math, reading, and writing, students learn much more: how to study for college-level exams, how to eliminate test anxiety, and how to pay for college (through financial advising), and how to form friendships and build connections to faculty members, staff, and administrators. In other words, the students’ ability to learn new material in college is placed within a social realm—they learn in groups, in classes, with friends, and from others such as peers or student mentors, as well as from teachers. 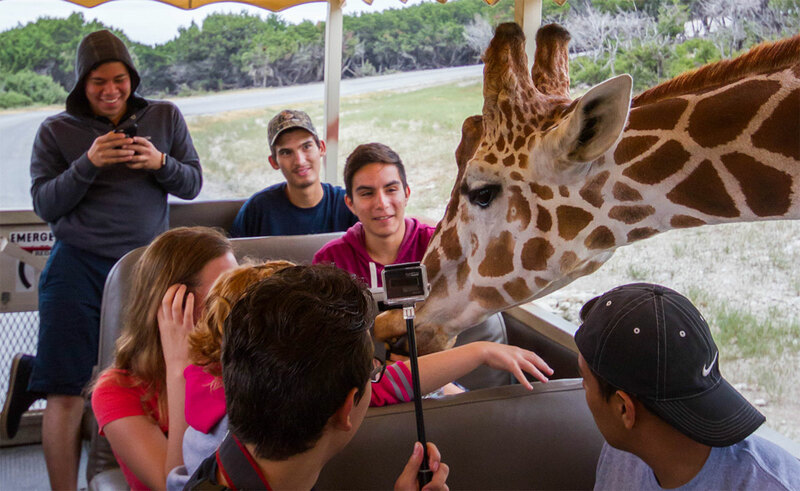 Summer Bridge students visit the Fossil Rim Wildlife Center in Glen Rose, Texas, where more than 1,000 animals and 60 different species make their home. The interactions incorporated in the summer bridge program are grounded in a social constructivist model of learning, a wholistic approach derived from the theories of the Russian developmental psychologist Lev Vygotsky, who said that the best learning is constructed by groups of learners in socio-cultural environments.7 Vygotsky theorized that optimum learning happens when people work together in groups on meaningful tasks. A constructivist approach8 frames the learning process in a building metaphor that involves the creation of knowledge through interactions by people with different perceptions and values.9 This concept views knowledge as constructed and created rather than being transferred, transmitted, or copied. A constructivist frame for learning braids together activities such as reading, writing, speaking, and listening into the process of building knowledge rather than seeing them as separate skills. In keeping with this theoretical framework, SWAU’s Summer Bridge program focuses on three academic areas: math, reading, and writing, but also incorporates worship, study skills, and social interactions among students, teaching faculty, staff, and administrators. The students move as a cohort throughout their days in the program, and Summer Bridge personnel have noticed continued camaraderie among the Bridge students for the rest of their freshman year. The weekly schedule includes five academic days, plus an additional day designated for special social activities, such as field trips to places like the Fort Worth Museum of Science, an animal reserve, a baseball game, a swimming pool party, or a go-kart track (these have varied over the years, but we include about three such events each summer). On Sabbath, students participate in non-mandatory worship services and visit the homes of Summer Bridge faculty members and administrators for food and social activities. The academic days begin with an early breakfast at 7:30 a.m. in the student center where Summer Bridge faculty, staff, and administrators prepare and serve the food and present worship talks. After worship, the students spend an hour in physical exercise and then attend classes and tutoring sessions in math, followed by lunch with their tutors and teachers in the university cafeteria. After lunch, they visit the Center for Academic Support and Advising (CASA), where they work on study skills and discuss various aspects of academic success. Later in the afternoon, they attend writing and reading classes and tutoring sessions. Each academic day ends between 5:00 and 5:30 p.m., with the students having the evening for study, free time, planned activities, or socializing with their cohorts. In sum, the three-week program contains 12 intensive academic days, one day each for pre-tests and post-tests, and several days devoted to worship and social activities. Each student participating in the Summer Bridge program is given two tests at the beginning of the three-week session: the Maple test (math) and the Nelson-Denny Reading Test (reading). At the end of the program, they take three tests: the Maple, the Nelson-Denny, and a writing sample test. Their scores on these tests are then used in determining the courses in which they will enroll for the fall semester. During the 2013 program year, mathematics scores showed dramatic improvement. The students’ Maple post-test average was 8.28, quite a contrast to their pre-test average of 5.12, a differential of 3.16.10 The average score increase was 11.68 percent. Of the 23 students in the 2013 enrichment program, 19 improved their math score. The improvement was similar for reading. The pre-test average on the Nelson-Denny Reading Test was 9.88, slightly below the sophomore high school level.11 Some individuals scored considerably lower. Nine of the 23 students were reading below the 9th-grade level before instruction began. The post-test average (after instruction) was 11.39, representing an average improvement of slightly more than 1.5 grade levels. For teachers who taught the reading course, these scores were very encouraging. In subsequent years, the results were very similar, with the students showing large gains in both reading and math skills. Table 1 shows the average student improvement in reading and math for all three years of the program. According to a study done on retention levels and summer bridge programs, “the strongest predictor for retention is passing a developmental reading course. College-level reading comprehension and reading strategies are essential for students to be able to read and understand their college-level textbooks.”12 At Southwestern Advent­ist University, we have seen a similar trend. Our retention rate for the Year 1 Summer Bridge cohort was 100 percent from fall to spring, 11 percentage points higher than the freshman class as a whole. Sixty-eight percent of the 2013 cohort returned for their sophomore year, the same percentage as for the regular-admission freshmen. This high rate demonstrates a number of important things. First, Summer Bridge students achieve high enough grades in the fall semester that they are able and willing to continue in the spring. 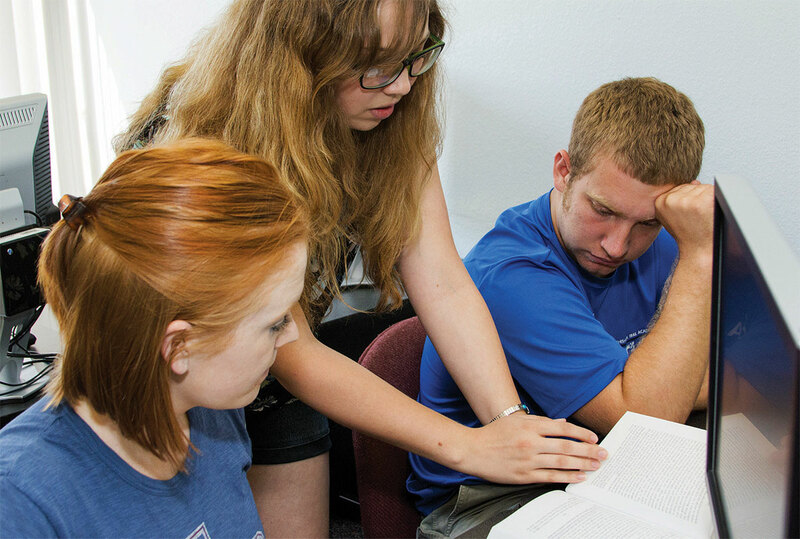 Second, the perfect retention rate in 2013 indicates that these students find the environment at Southwestern Adventist University conducive to pursuing their goals—even more conducive than the average non-Bridge freshman. Third, the “cohort” concept begun in Summer Bridge introduces students to campus life, and they enter the university with already-established friendships and a study routine that enables them to succeed and stay in school. In brief, the philosophical framework of constructivist and wholistic principles works well in this Summer Bridge program, using the assessments of both grades and retention. * Note: The reading test (Nelson-Denny) uses a grade-equivalency score; therefore, the 9.88 score for the 2013 reading test represents the average student’s level (below the 10th grade). The math test (Maple) does not use a grade-equivalency scoring system. What are students’ goals in attending a bridge program? In a study by Wathington et al., the authors note: “Students commented during focus group sessions: ‘I didn’t want to take any remedial classes,’ and ‘[my primary goal in the program was to] just get a higher grade and . . . not to take the remedial classes.’”13 With this in mind, bridge students’ definition of success may differ from the institution’s measures of success. In the first SWAU Summer Bridge program (2013), two students out of 23 scored high enough on the post-instruction Maple test to avoid remedial math, seven students avoided taking developmental reading, and 11 students avoided remedial writing and entered a regular freshman composition course. While the success rate in math, when measured by a passing grade in college algebra, is not high, 19 of the 23 enrichment students had Maple pre-test scores of 5 or less, with 13 as the cutoff score to get into regular college algebra. Students with very low math scores may simply not be remediated quickly enough to find success within a year of entering college, at least with the remediation initially offered in the Summer Bridge program. Summer Bridge students acquire skills essential for a successful college experience by collaborating with peers, working in groups, and learning from others such as student mentors. The university, based on this 2013 assessment, made modifications in both subsequent Summer Bridge programs (2014 and 2015) and in the way math instruction had been de­livered, starting with the fall 2014 semester. SWAU increased its math tutoring opportunities for the 2014-2015 school year and piloted a section of a college math course that supplements regular instruction with computer-aided instruction. Regarding overall academic success, as measured by GPA averages, we noted that the average fall semester GPA for the Summer Bridge students was no different than the average GPA for the regular-admission freshmen, though in the spring semester the average GPA (2.29) for the Summer Bridge students was lower than the average GPA (2.93) for the regular-admission freshmen. Other tweaks were also made in the program based on our assessments. Several of these changes affect the non-academic elements of the program. After the first year, we instituted a dorm room curfew of 10:30 p.m., as the students tended to socialize (gathering in dorm lobbies, for example) until very late at night or even into the early morning hours, leaving them so fatigued by the afternoon classroom sessions that they had trouble staying alert. With the same curfew in place the following summers, we noticed improved concentration during the afternoon sessions. Further, we began offering fewer weekend social events, building in rest days, particularly on Sundays. In his comments about the program, the previous student noted all three areas we focus on during the Summer Bridge program: academic preparation, involvement in campus life, and the formation of friendships that provide support. Clearly, summer bridge programs not only improve students’ academic skills in math, writing, and reading, but also improve their attitudes about themselves as well. Based on the information above, we can assert that the Summer Bridge program at Southwestern Adventist University has succeeded beyond our expectations. The students’ math, reading, and writing skills all improved. In each of the three summers, some students improved enough to avoid at least one remedial class. The monetary benefit for some of these students represents a savings of thousands of dollars, even taking into account the $400 fee18 for the Summer Bridge program. Academically, then, for the university and for the students, the program succeeded. But there is another measure of success worth noting. These were students who, without Summer Bridge, would not have been admitted into Southwestern Adventist University. We may well ask ourselves where they would have gone. With low standardized test scores and/or low high school GPAs, it might have been difficult for them to get into any Seventh-day Adventist college or university, or other four-year institution. In other words, if they hadn’t come to the Summer Bridge program, they probably would have gone to a community college, trade school, or perhaps not continued with their education at all. As administrators and teachers think about the mission of Adventist institutions, we should seek ways to accept students who want to attend an Adventist institution even though they don’t have college-level skills in all areas. Philosophically, we must find ways to balance the issues associated with accepting such at-risk students with the mission of the Adventist Church and the importance of keeping students in an Adventist environment. Further, we must consider how we can best help such students succeed if we do accept them into our colleges and universities. Southwestern Adventist University’s Summer Bridge program has been an important step in addressing some of these important questions. Based on our experiences at Southwestern Adventist University, we believe other Adventist institutions should consider implementing a summer bridge program. As Adventists, our ideal goal must always be to meet the needs of students who desire a Christian education. But students applying to Adventist schools, like their counterparts across the United States, are increasingly less academically prepared for college.19 Colleges and universities with no mission emphasis beyond offering high-quality education face these same problems. Some have decided to turn students away or to insist that they “get up to speed” before initiating a transfer. Many other colleges and universities though, without any spiritual emphasis or calling at all, have created opportunities for students by creating summer bridge programs. How can we as Adventist educators do less? Our role as both educators and Adventists is to help as many students as we can, and let them have a chance at the opportunities that only a college degree can provide. Of course, we also must maintain high academic standards. A summer bridge program can help meet both these goals. 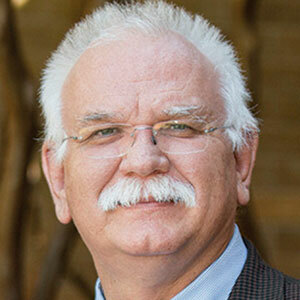 Renard Doneskey, Ph.D., is a Professor of English at Southwestern Adventist University (SWAU) in Keene, Texas. He received his doctorate from the University of California, Riverside. Now in his 17th year at the university, he has also taught at La Sierra University, Hebei Teachers’ College (in Hebei, China), and the University of California, Riverside. He has chaired the English departments at La Sierra University and Southwestern Adventist University, taught in the Honors Programs of both schools, and directed the Honors Program at Southwestern for six years. Dr. Doneskey supervises the reading and writing components of the SWAU Summer Bridge program. His current research interests include summer bridge programs and college reading. 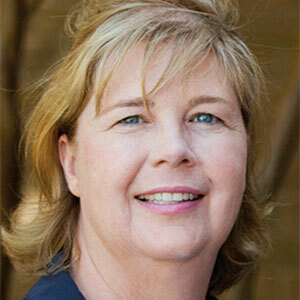 Jayne Ann Doneskey, M.A., is an Assistant Professor of English at Southwestern Adventist University. She received her M.A. in Elementary Education from La Sierra University, and has worked in the English and ESL departments of SWAU for the past three years. Her love of reading instruction began while she was a 1st- and 2nd-grade teacher at Loma Linda Elementary School and Redlands Junior Academy in southern California. She has made recent presentations on reading at the Association of Literacy Educators and Researchers and the Literacy Research Association. Mrs. Doneskey also teaches reading in the SWAU Summer Bridge program. Ray Fields, “Towards the National Assessment of Educational Progress (NAEP) as an Indicator of Academic Preparedness for College and Job Training” (2014): http://­ www.nagb.org/content/nagb/assets/docu ments/what-we-do/preparedness-research/ ­NAGB-indicator-of-preparedness-report.pdf; Kelsey Sheehy, “High School Students Not Prepared for College, Career” (2012): http:// ­www.usnews.com/education/blogs/high-school-notes/2... dents-not-prepared-for-college-career. All Websites in the endnotes were accessed on June 21, 2016. In 2013 through 2015, the program was called CORE Enrichment. Starting in the summer of 2016, the bridge program will be called Summer Bridge to more clearly differentiate it from regular freshman orientation. In this article, we refer to the program by its new name. The program costs the student $400 to attend, with additional funding coming from the Southwestern Union Conference, the university, and for the summer of 2016, a grant from the Independent Colleges and Universities of Texas. The regular admissions standards required a high school GPA of 2.25, coupled with a combined ACT score of 17 or a combined SAT score of 820. In the summer of 2013, 23 students were invited to attend the summer bridge program; two other students also participated, though their standardized test scores and GPAs would have allowed them regular admittance. Their parents heard about the program and asked if they could attend to get a jump start on college. Therefore, a total of 25 students participated in the program. In 2014, 23 students attended the program; and in 2015, 24 students attended. Amy Rosenthal, personal communication, March 4, 2016. See, for example, Heather Wathington et al., “Getting Ready for College: An Implementation and Early Impacts Study of Eight Texas Developmental Summer Bridge Programs,” National Center for Postsecondary Research (October 2011): http://www.post secondaryresearch.org/i/a/document/DS BReport.pdf. Lev Vygotsky, Mind in Society: The Development of Higher Psychological Processes (Cambridge: Harvard University Press, 1978), pp. 79-91. For a discussion on the compatibility of constructivism with Christianity, see Austin C. Archer’s article, “Constructivism and Christian Teaching,” The Journal of Adventist Education 64:3 (February/March 2002):32-39: http://circle.adventist.org/­ files/­jae/en/jae200264033208.pdf. Nancy Spivey, The Constructivist Metaphor: Reading, Writing, and the Making of Meaning (San Diego: Academic Press, 1997), pp. 1-3. These figures represent a raw score and therefore cannot be compared to grade levels. The Maple test uses a range from 1-25. Students with a score below 13 are enrolled in remedial math. The Nelson-Denny scores are reported as a grade equivalency, meaning the grade level at which the students are reading (based on U.S. national averages). A 10.3 score represents a student reading slightly above the 10th-grade level, or at the sophomore level in high school. A score of 13 would mean that the student was reading at the freshman level in college. David S. Fike and Renea Fike, “Predictors of First-year Student Retention in the Community College,” Community College Review 36:2 (October 2008):80. Wathington et al., “Getting Ready for College: An Implementation and Early Impacts Study of Eight Texas Developmental Summer Bridge Programs,” op. cit., p. 37. To place these results in context, the remedial math class at SWAU had recently been changed from a two-semester sequence (Introduction to Algebra and Intermediate Algebra, with each course meeting five days a week) to a one-semester course (College Algebra) meeting three days a week. Further, students had to make at least a C- in the current course to move into the non-remedial college algebra. Jodi Patrick Holschuh and Eric J. Paulson, “The Terrain of College Developmental Reading,” College Reading & Learning Association (July 2013): http://www. ­nade.net/site/documents/breaking%20 news/TheTerrainofCollege91913.pdf. Jerome Poindexter, personal communication, March 14, 2016. The program fee of $400 includes accommodation in the residence halls and meals at the university cafeteria; courses in math, reading, and writing; one college credit in physical education; tutoring and career counseling; and social activities and field trips. Matthew Kilian McCurrie, “Measuring Success in Summer Bridge Programs: Retention Efforts and Basic Writing,” Journal of Basic Writing 28:2 (2009):44. Fields, “Towards the National Assessment of Educational Progress (NAEP) as an Indicator of Academic Preparedness for College and Job Training,” op. cit. ; Sheehy, “High School Students Not Prepared for College, Career,” op. cit.